TR nursing administrative assistant Ruby Ann Rios stands with TCC’s mascot Toro during the national anthem before the race Nov. 5. 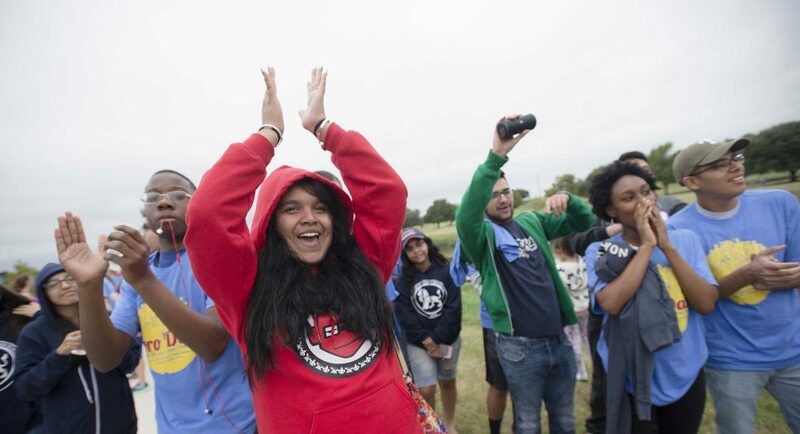 Even with dreary overcast and chilly temperatures, Toro Dash participants came out to race. The Toro Dash, a 5K and 10K charity race that helps raise money for the TCC Student Wellness Scholarship and fund, took place Nov. 5 at the Panther Island Pavilion in Fort Worth. Damian Smith won the men’s 5K race with a time of 16 minutes, 56 seconds. Elijah Cardenas came in second, and Kevin Frost finished in third place. 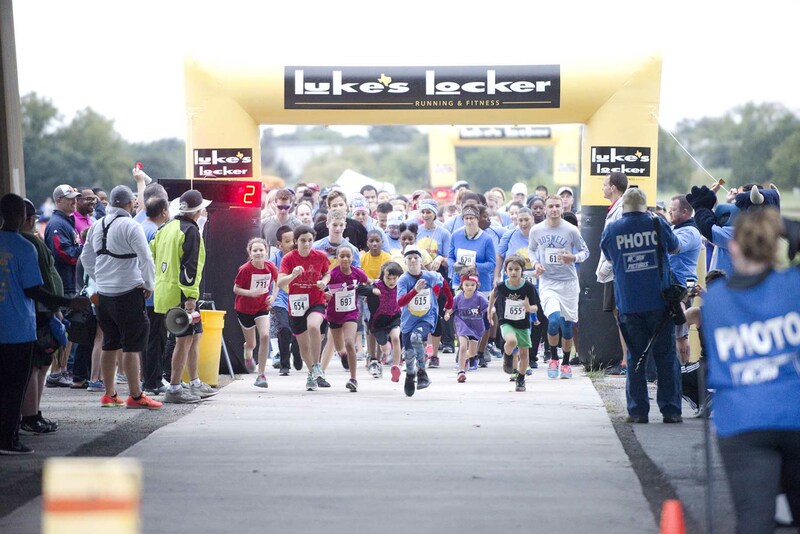 First-place winners received Luke’s Locker gift certificates and plaques. Megan Popple came in first in the women’s 5K with a time of 21 minutes, 48 seconds. Allisyn Roglin finished in second, and Elaine Kaster placed third. Awards were also given out for the 10K race. Jeff Alexander won the 10K men’s race with a finishing time of 40 minutes, 31 seconds. Daria Mrugala took first among women at 45 minutes, 16 seconds. Second-place winners were Kyle Cook and Anne Marie Disney. Third-place winners were Yipsi Schulz and Olban Alvarenga. In addition to the race winners, the campus with the most participation also received an award. 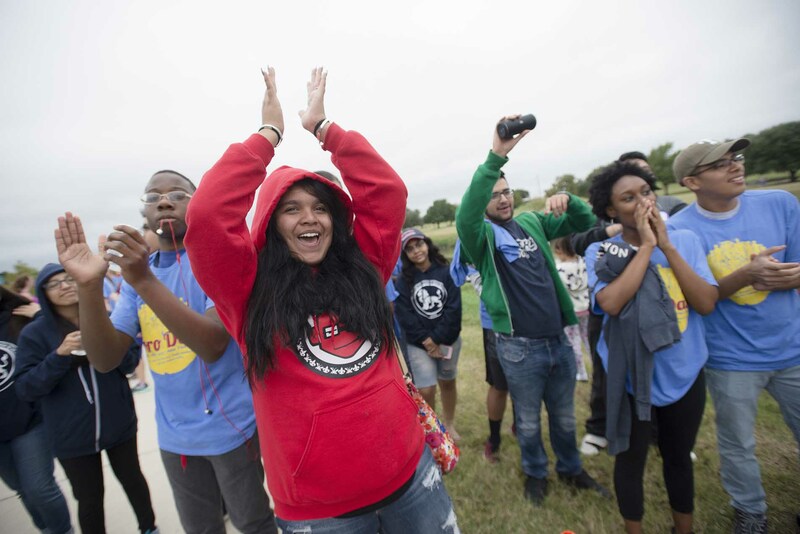 SE Campus won for the second year in a row. 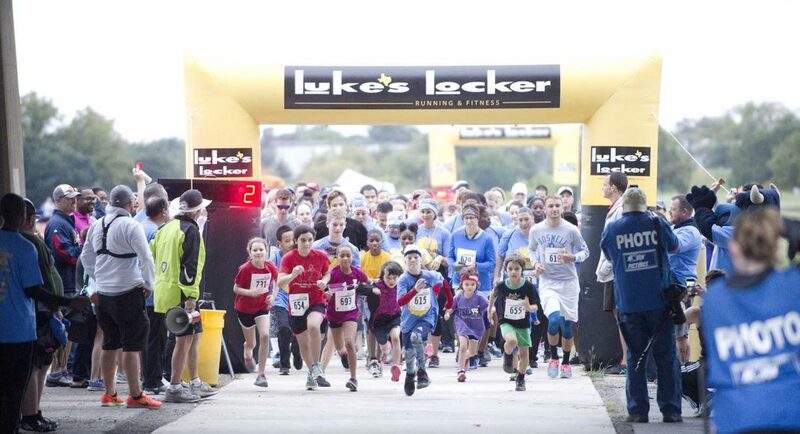 After the race, participants could go to The Shack and eat complimentary sandwiches and listen to a DJ while they waited for awards to start. Racers also won door prizes, like free rounds of golf at Tierra Verde Golf Club. 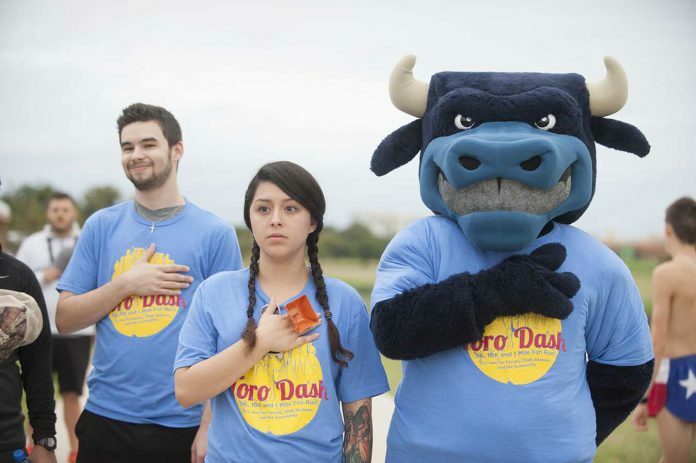 The air horn blows, and the runners take off at the beginning of the Toro Dash 5K and 10K Nov. 5. 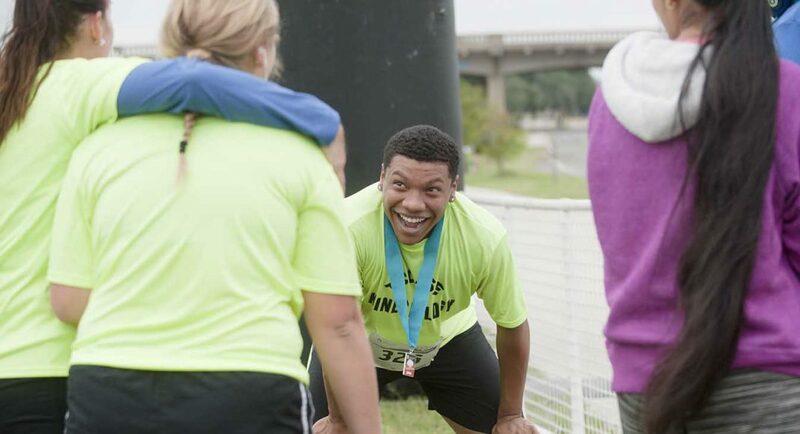 The race was a charity event where all the proceeds went to the TCC Foundation Wellness Fund and Scholarship. 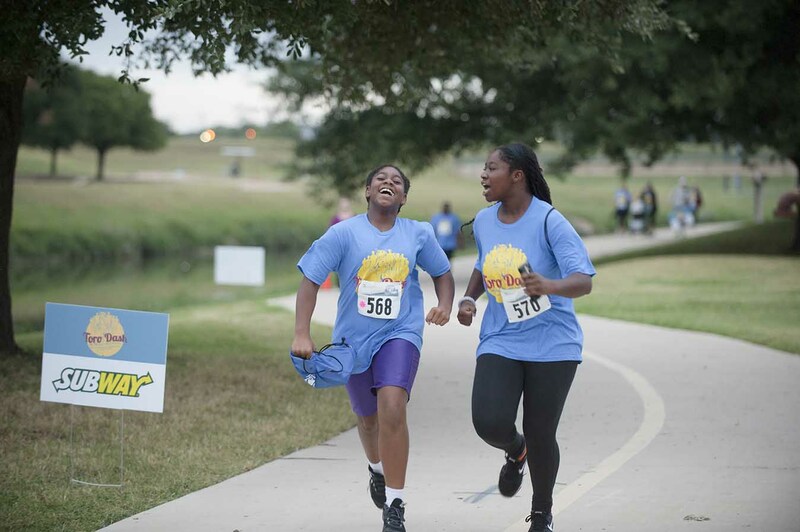 The route this year was different because of the new location at Panther Island Pavilion in Fort Worth. Spectators and some of the finished race participants clap and cheer on the runners as they cross the finish line for the Toro Dash 10K race. 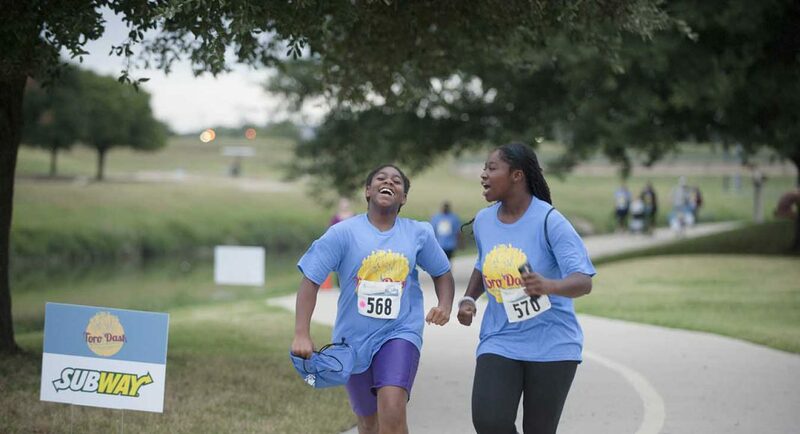 Two runners from the Toro Dash 5K race laugh as they round the course path Nov. 5. 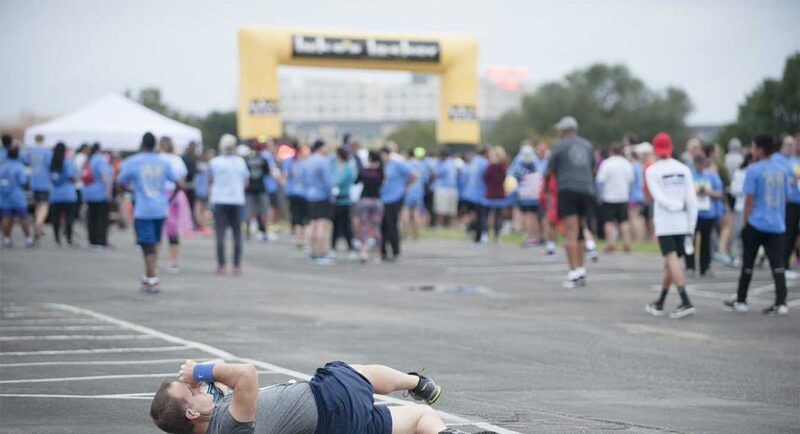 SE history adjunct instructor Randy Horton stretches to warm up before the 5K race. 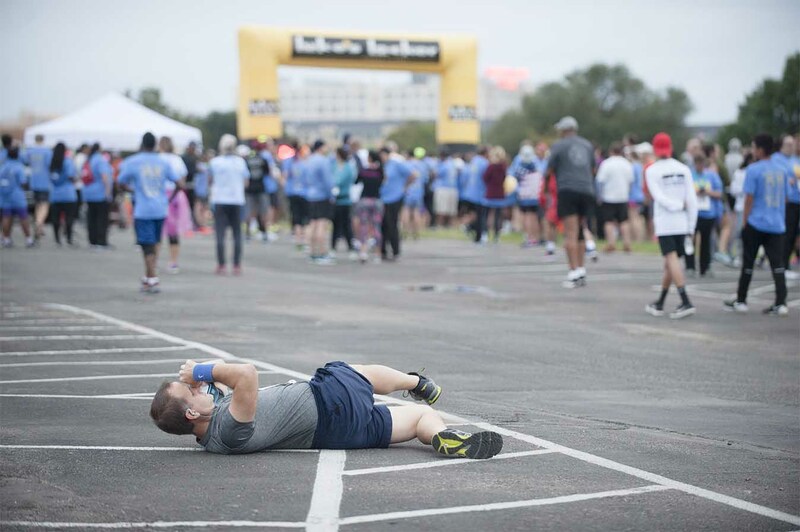 SE Campus had the highest runner participation for any TCC campus. This is the second year in a row that SE has won the campus participation trophy. 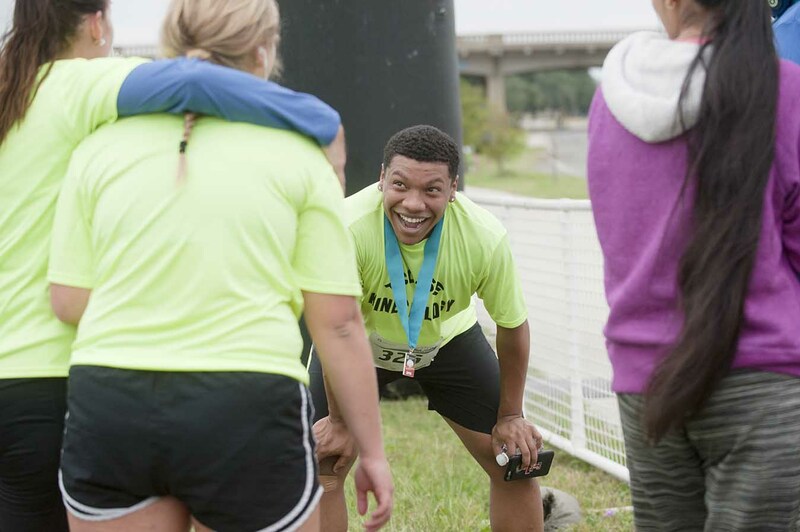 SE Kinesiology Club president Jordon Holiday catches his breath after running in the 5K race.